Gerald David Cook 11/23/44 ~ 1/16/07 "Gone Fishin', Everybody Else is Just A Wishin'" Gerald David Cook, 62, died Tuesday, January 16, 2007. Gerald was born November 23, 1944, in Las Vegas, NV to Milton and Alice Cook. He grew up in Salt Lake City where he graduated from Olympus High School. Gerald was very athletic. 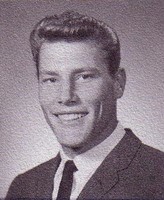 He was Utah State wrestling champion in 1962 and lettered in many sports during his high school years. Gerald worked as a general contractor most of his life and owned his own business, Cook Construction, for the last 30 years. Gerald was the proud father of five children and 11 grandchildren. He loved spending time camping and fishing with them. Nothing made him happier than watching one of his grandchildren catch a fish from his old fishing boat, The African Queen. He also loved spending time golfing with his buddies. 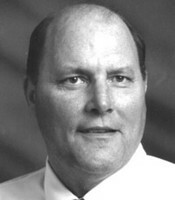 He is survived by his mother, Alice Brookes; children, Gerald David Cook (Michelle), Cheryl Gallo Dunne (Kevin), Lora Clegg (Daniel), Tyler Cook and Michael Cook; three brothers, George Cook (Betty), Doug Cook (Linda), Rex Cook (Chyrrel); sister-in-law, Kathy Cook, and numerous grandchildren. Preceded in death by his father, Milton Robert Cook and his brother Robert Cook. Funeral services will be held on Friday, January 19, 2007 at 11:00 a.m. at Holbrook Mortuary, 3251 S. 2300 E. A viewing will be held on Thursday evening, January 18, 2007 from 6 to 8 p.m. and from 9:45 to 10:45 a.m. at the mortuary on Friday prior to services. Special thanks to Woodland Park Care facility for their kind services and care. Click here to see Gerald (Gerry)'s last Profile entry.